English Teacher On The Loose: THE PRICE OF GRINGLISH? This is a post for those proficiency students who really love English and are interested in the origin of words as well as those who like the discussing finance and politics! I cannot say that it hasn't been inspired by all those politicians who like to show off their English and those who wish they could! Disclaimer: May I emphasise that I intend no political bias with this, I merely wish to highlight a great (linguistic) speech and instigate lively debate on current affairs! Ever heard of Xenophon Zolotas? 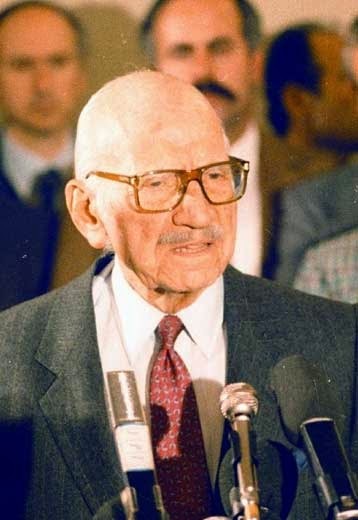 He was director of the Bank of Greece as well as interim non-party Prime Minister for a short period. He was a proud Greek and wanted to emphasise the influence his language has had on English and so in two speeches, one in 1957 (which I deal with here) and the other in 1959, both (if I am not mistaken) as closing speeches to the International Bank for Reconstruction and Development, he spoke using using predominantly words of Greek origin. I have included discussion points to give you food for thought! Whether you are Greek or English you may find this a little hard to decipher so click the link after the text for 'translation' into more familiar English/Greek. I always wished to address this Assembly in Greek, but realized that it would have been indeed "Greek" to all present in this room. I found out, however, that I could make my address in Greek which would still be English to everybody. With your permission, Mr. Chairman, l shall do it now, using with the exception of articles and prepositions, only Greek words. Kyrie, I eulogize the archons of the Panethnic Numismatic Thesaurus and the Ecumenical Trapeza for the orthodoxy of their axioms, methods and policies, although there is an episode of cacophony of the Trapeza with Hellas. With enthusiasm we dialogue and synagonize at the synods of our didymous organizations in which polymorphous economic ideas and dogmas are analyzed and synthesized. Our critical problems such as the numismatic plethora generate some agony and melancholy. This phenomenon is characteristic of our epoch. But, to my thesis, we have the dynamism to program therapeutic practices as a prophylaxis from chaos and catastrophe. In parallel, a Panethnic unhypocritical economic synergy and harmonization in a democratic climate is basic. I apologize for my eccentric monologue. I emphasize my euharistia to you, Kyrie to the eugenic and generous American Ethnos and to the organizers and protagonists of his Amphictyony and the gastronomic symposia. "But, to my thesis, we have the dynamism to program therapeutic practices as a prophylaxis from chaos and catastrophe. In parallel, a Panethnic unhypocritical economic synergy and harmonisation in a democratic climate is basic." This particular sentence caught my attention almost immediately as it is indicative of how little times have changed though indeed time has passed. (It seems to me that Zolotas would have been in favour of the European Economic and Monetary Union as he assisted Greek accession into the European Union). Do you think monetary unity is a viable solution? To what extent do you think the European Economic and Monetary Union is working? Do you think that the basic principles Zolotas laid down (unhypocritical and democratic) are in place? Explain why/why not. Does monetary union encourage or discourage these two principles within a Society? Explain why/why not. What are the benefits and drawbacks of monetary union for a)large and b)small member states? Why do you think Britain and Denmark chose not to join the Eurozone but be part of the EU? Does a single currency really encourage unity between (vastly) different nations? Why/why not? Zolotas emphasised how much Greek has influenced the English language but has Greek and Greece had any other influences on foreign culture? Consider other areas of life, not only language. What other languages have influenced English? Or your own language? What effect has this had? How has English affected your native language? Are there any words which are universal - understood without translation? What are they? If there were a common language would we all speak it the same way? Would there be fewer misunderstandings if we all had the same language because and meanings would not be lost in translation?